Relaxing into Parenting and Baby Makes 3 is an evidence based program aimed at increasing the confidence of expectant parents during their transition to family life. You will gain skills to manage stress, strengthen relationships and know where to seek personal and professional support in the community when you need it. This is a free group conducted over four weeks during the prenatal period and one session postnatally. Although breastfeeding is natural, it doesn’t always come easily and is a learned art. The Australian Breastfeeding Association classes aim to provide expectant parents with the knowledge and confidence to successfully breastfeed their babies. You can attend a relaxed, information-packed Breastfeeding Education Class for expectant mothers and their partners. Classes are designed to prepare you for the vital days, weeks and months after your baby is born. The classes are presented by trained Australian Breastfeeding Association counsellors or educators. You can gain up-to-date information and insights into breastfeeding and parenting in the early days. The Healthy Pregnancy Group and Child Birth Education Classes are run on an as needs basis. If you would like to request a class, please contact one of the Winnunga midwives. The groups cover information on pregnancy and birthing, substance use, smoking during pregnancy, SIDS, breastfeeding and nutrition. The groups also provide an opportunity for pregnant women to meet and talk about any concerns or issues they’re experiencing. This workshop helps pregnant women and their partners develop effective skills to prepare for and manage labour and birth through confidence building, creating a calm and supportive environment for labour, learning effective massage and acupressure techniques, active birth positions and mindfulness practices. The instructors are passionate about helping women and their partners to understand the benefits of good preparation for labour and birth and beyond. Calmbirth® is a model of education that leads to a much greater understanding of your own inner resources, and what you can bring to the birth of your baby. When you complete the program you and your partner will have a ‘tool kit’ of strategies and skills, that have been built up through your own practice, that give you a much greater confidence in handling the very diverse nature of labour and birth. What you do with this knowledge and how you use it on the day will be completely unique for you and your partner. Hypnobirthing classes prepares mothers and their partners with the knowledge, confidence and tools required to birth naturally and calmly. The program is designed for both natural and caesarean birth and promotes positive birth no matter what the situation. Beer and Bubs is a one–night session at the pub where expectant dads learn how to support their partner through the birth of their baby. Childbirth is daunting for men too and this session prepares fathers for an active, caring role. The program helps men gain the practical knowledge they need to be involved in the births of their children in a positive way and to get the fatherhood adventure started with a memorable and empowering experience. 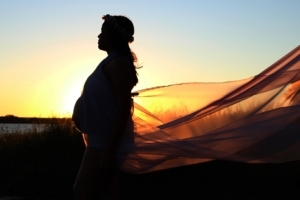 New Beginnings Birth offer, HypnoBirthing® small group and private classes. HypnoBirthing® is a comprehensive antenatal education class, set out in 5 modules which aims to inform and empower parents. It teaches you how to work with your body with a full understanding on how the body’s systems work together in birth. You will learn techniques to use during pregnancy, labour and into the post-partum period including breathing, deep relaxation, self-hypnosis, visualization and affirmations. Providing comprehensive 12hr VBAC (Vaginal Birth After Cesarean) specific Childbirth Education. This course is designed to help the pregnant individual and their chosen support person to work through fears, learn coping methods to use during the VBAC experience, discover things that may maximise odds of success, learn how to take charge of the VBAC journey, understand the Absolute and Non-Absolute indicators for a RCS (Repeat Cesarean Section), and learn how to create a positive RCS should it become necessary. Also offering Standard Non-VBAC Childbirth Education courses occasionally.